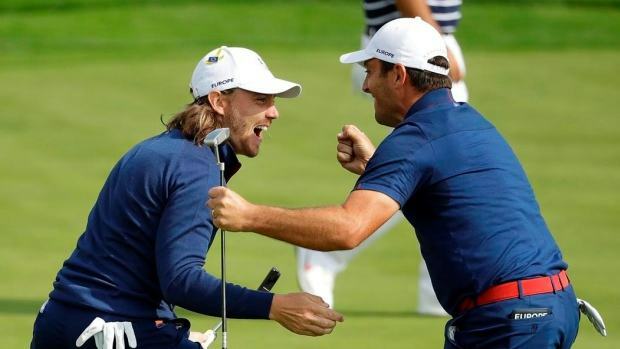 The Mollywood bromance between Tommy Fleetwood and Francesco Molinari spawned the amazing “Tommy, Tommy, Moli, Moli” song by rowdy European fans at the Ryder Cup in Paris. However, the song isn’t exactly original. Here is a breakdown of the origins of the song from 90’s dance anthem to a pair of brothers who played soccer in the Premier League.